The album Wolken Zucker Himmel is available online on iTunes and Co or can be ordered at your local record shop. 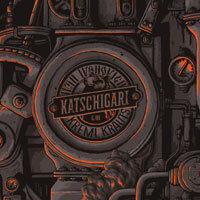 Album Release Party will take place on November 23 at Exhaus Trier. 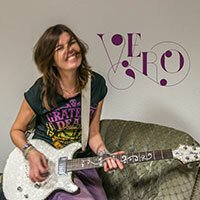 Vero will be playing together with some musician friends and some other great bands from Trier. Let's come around everybody to Exhaus and have a party! 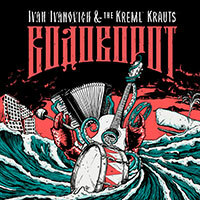 (no English available, sorry) Die mitreißenden Fluten des "Wodoworot", des gigantischen Meeresstrudels, stehen im Zentrum des aktuellen Albums von Ivan Ivanovich & The Kreml Krauts. Glitten die Hörer gerade noch in den ruhigen Gewässern gewohnter Musik dahin, zieht der Malstrom sie nun erbarmungslos hinein in die abenteuerliche und wodkagetränkte Welt von Ivan und seinen Kreml Krauts. New Ben Wood Inferno videos - live in Vienna! 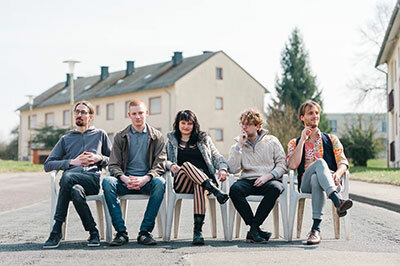 Live Show Vienna: runka runka runka - what a wonderful nefarious warhorse of a song !! Live Show Vienna: Ha! Another killer diller from the new album !! The title serves you right, doesn't it ?! Live Show Vienna: How vicious you want it ?! Well, there you go, kids !! 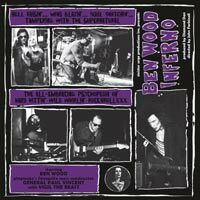 New Ben Wood Inferno album will be out in October 2017! Who else could fulfill Sumo Rex' motto "Excitement in Sight and Sound" better? If you have ever seen Ben Wood live, you'll know what we're talking about! After 2015's staggering live album "flames baby flames !!" Ben Wood and his as unique as infernal triumvirate release their breathtaking studio debut. Nine brandnew, ozone-depleting tunes are raising the bar in a full blast of death mocking and devil defying sound. Launching from the swamps of dripping daffy trashblues into the spheres of outerspace psychorock'n'roll explosions we testify a song collection of an undiscovered garagerock'n'roll genre at its best - inspired by the likes of Bo Diddley, The Cramps, Jon Spencer and a large variety of winding up the smart set. 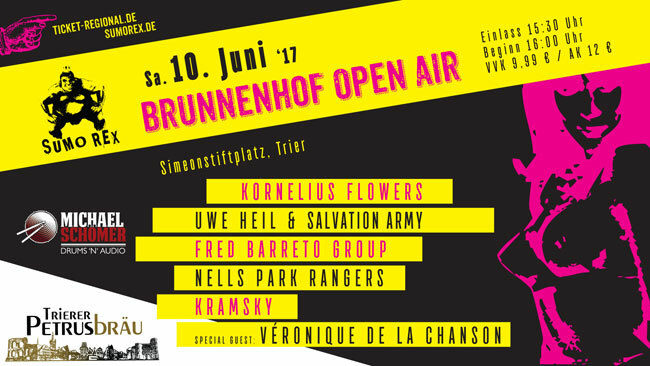 Sumo Rex Brunnenhof Open Air - It was superb! Thanks everyone who came out to Brunnenhof last Saturday. Our Sumo Rex Open Air was a real magnificent festival! Wonderful bands, the best beer ever Petrusbräu and also perfect weather. What artist could fulfill Sumo Rex's motto 'Excitement in Sight and Sound' better than BEN WOOD INFERNO? We are proud to release his album 'Wilder Wilder Faster Faster' this year! The Kreml Krauts have a new video! 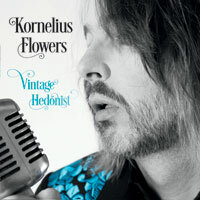 Out since June, 3rd 2016: KORNELIUS FLOWERS "Vintage Hedonist"